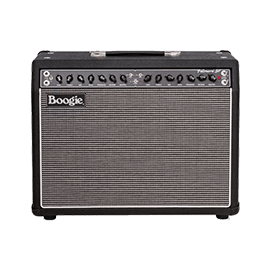 Mesa Boogie - Andertons Music Co.
Mesa/Boogie are giants within the amp world. At the forefront of modern amplifier design, the company has established a reputation for its supreme build quality and game-changing tones. Boasting a diverse catalogue, the wide-ranging appeal of Mesa/Boogie’s tube-powered amplifiers remains strong. 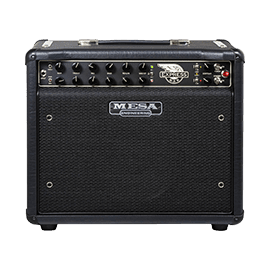 In a time where modelling amps are seeing a sharp increase in popularity, the pure, unbridled tones offered by Mesa/Boogie amps still satisfy the ears of many guitar and bass players in the 21st Century. With legendary artists such as Carlos Santana using Mesa/Boogie, the brand are most often associated with hard rock and metal acts. With a huge number of musicians on their books, some of Boogie’s most loyal artists include James Hetfield (Metallica), Kim Thayil (Soundgarden) and John Petrucci (Dream Theater). 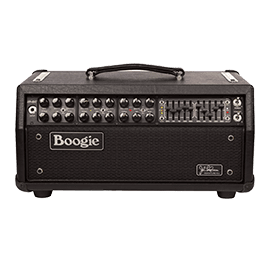 Mesa/Boogie was founded by Randall Smith in the 1970s. Formed from a love of modifying circuits, Smith gained notoriety for “hot-rodding” amps and vastly improving their tones to deliver higher amounts of gain. Various pro players took notice, and Smith’s reputation as an amp guru grew quickly within the industry. This led to the formation of Mesa/Boogie and, of course, the production of their very own amplifiers. Decades later, Randall Smith still heads up his design team, continuing to pioneer new amps that push the boundaries. 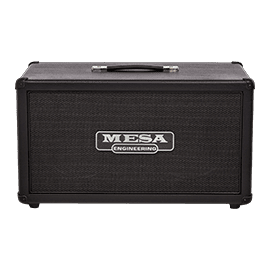 Hand-made in California, Mesa/Boogie amplifiers are highly-regarded for their excellent levels of tweakability. 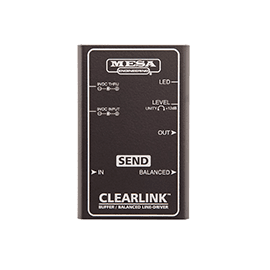 With many of their products, such as the Mark V series, featuring two EQ sections and multiple channels, the versatility of their tube-driven amps is virtually unmatched. 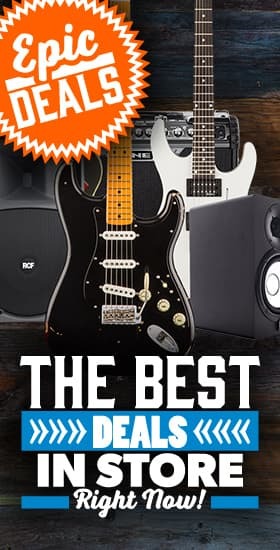 With classic designs such as the Dual Rectifier, the Mark Series, the Lonestar and the Express, Mesa/Boogie continues to be the brand of choice for many pro players. 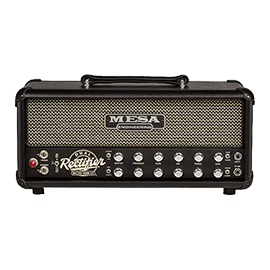 An essential amplifier within hard rock and metal circles, the Mesa/Boogie Dual Rectifier is a legendary high-gain beast. 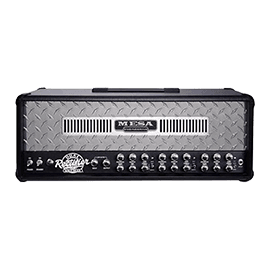 At the peak of its popularity at the turn of the century, the Dual Rectifier was responsible for powering the sound of many American post-grunge and nu-metal bands of the era. 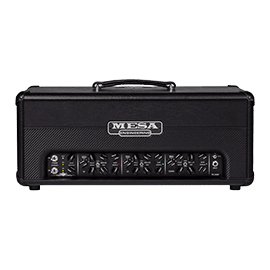 With Mike Einziger (Incubus), Dan Estrin (Hoobastank) and Wes Borland (Limp Bizkit) using these searingly-hot amplifiers to forge their huge guitar tones, the Dual Rectifier played an integral part in establishing the sounds of their respective genres. Now in its 5th generation, the flagship Mark Series of amplifiers is renowned for being the most versatile offered by Mesa/Boogie. 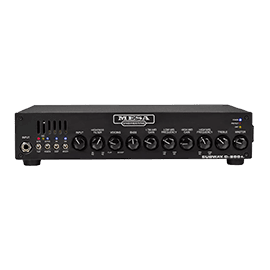 John Petrucci of Dream Theater is a high-profile user of this hugely flexible amplifier, with his signature Mark Series JP-2C deriving closely from it. The full-fat Mark V features 3 channels, with their own independent reverb controls and 3 tone modes for each, providing a total of 9 sounds. With a huge array of EQ controls, a channel-assignable effects loop and more, this is arguably the most all-encompassing tube amp available today. 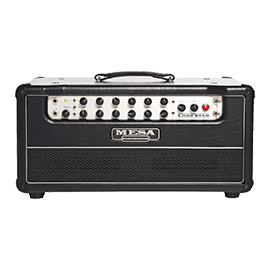 If hair-raising gain isn’t quite your thing, Mesa/Boogie produces a number of boutique-style amplifiers to accommodate the traditionalists. The Lonestar is one of these, a high-headroom amplifier that delivers 60s-style clean tones. With its classy, vintage-inspired aesthetics, the Lonestar has 2 channels to give you anything from crystal-clear cleans to raunchy classic rock crunch. 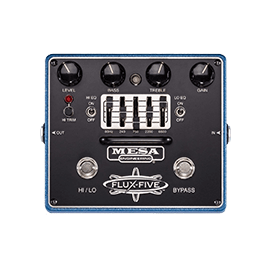 There’s also the Express series, which dishes out F-style cleans that can stretch to modern high-gain. It doesn’t have all the award-winning features of its more high-end counterpart the Mark V, but it gets fairly close when it comes to versatility.